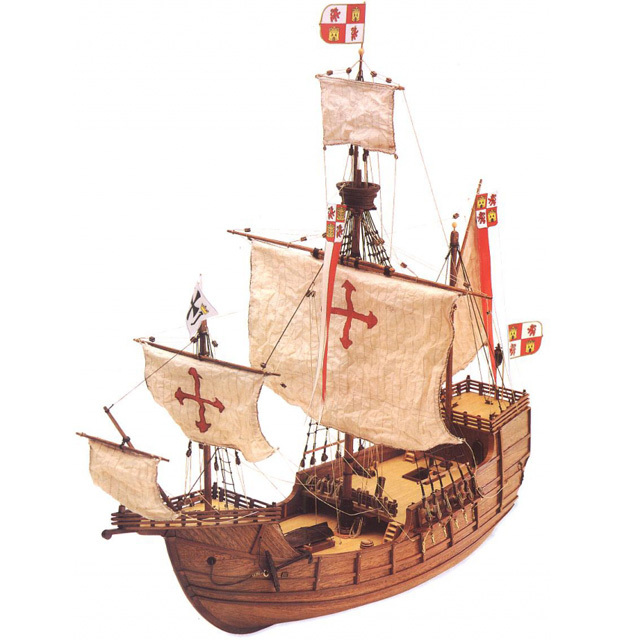 The Santa Maria, together with its sister ships the Pinta and the Nina, is famous the world over for its part in Columbus’s discovery of the New World on 12 October 1492. On Christmas Eve of that year it broke up off the coast of Haiti and its timbers were subsequently used to build Fort Navidad, the first European colony. Artesania Latina wanted to participate in the commemoration of Columbus’s discovery, and what better way than to create a beautiful model of Cristobal Colon. felis adipiscing libero. commodo massa Donec ut velit, ut ante.